Some people dislike the connotations associated with using “war” as a metaphor to describe cancer. This is because if a cancer patient succumbs to the disease, the patient is seen as having “lost” despite not having any control over the disease. Still, the battle against cancer wages on as we desperately try to find a cure. But it feels like we are losing. Cancer cases are on the rise and although we have made giant leaps in understanding more about this complex disease, when it comes to medical treatment a lot of it is guesswork. But what if there is a way to cut the guesswork out? Dr Patrick Soon-Shiong, CEO of NantHealth believes his company is uniquely qualified to change the conventional way we treat cancer and is building an entire infrastructure to do it. Part of Shiong’s plan is giving doctors access to a patient’s genetic data in real-time, through a cancer genome browser. Shiong’s company NantHealth came up with the browser through its partnership with BlackBerry. This is how it works: a patient sends in a tissue sample, the tissue is analysed through a supercomputer to identify the abnormal gene mutation, this leads to information on what drug to give. "The best way to think about it is very much like google maps. Think about how you would browse through the planet to get to an address. This is very much like how you browse through the three billion letters to get to the abnormal or wrong address that is causing the cancer cell to divide and spread," Shiong tells me. There are so many tech companies working on cancer genomics. What makes NantHealth unique? “The complexity of analysing a whole genome and linking it all the way down to the protein and protein pathway is something we are uniquely qualified to do and have done through validating algorithms,” Shiong says. Shiong tells me that the infrastructure is largely self-funded and has spent in excess of $1.2 billion dollars over the last five years building it. “We’ve now brought on outside investors on the NantHealth side although there’s over $200-250 million dollars that’s been invested,” Shiong says. This might seem obvious, but why did he chose BlackBerry to team up with? The idea that cancer treatment should be based on their genetic mutations and not on where tumours are found in the body is not new. Scientists have been examining genetic mutations behind the disease for years. Major tech companies have gotten involved in cancer genomics. IBM’s Watson is helping researchers analyse genetic data related to an aggressive form of brain cancer, whilst Google is reportedly working on a pill to identify cancer and other diseases. Thanks to advancements in technology, the scale at which cancer can now be fought is different. But it seems that Shiong has taken on a lot. It must be challenging to be focusing on so many different areas, from genome sequencers to supercomputers and big data etc.? “The challenge we have taken on [is to build a] complete eco-system all the way [from] the semi-conductor chip to the supercomputer to the mobile device to the algorithms and to the medical insight. And I think that’s what makes us unique – it’s not just a single platform, it’s a complete eco-system,” Shiong adds. 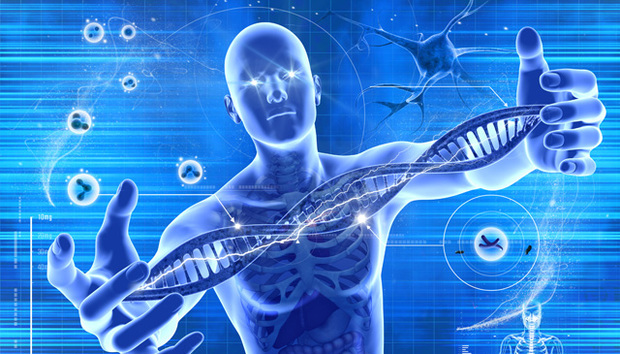 "This is the ultimate big data because we are talking about the human genome of a single patient – one patient is the equivalent to half a terabyte of data so if you are talking about 10,000 patients or a million patients you are talking about terabytes and ultimately zettabytes of data that needs to be transported and managed on a daily basis." Shiong adds. For Shiong, the challenge lies in the “re-education of the oncology community” in how we treat cancer patients at the moment. But the equivalent challenge is how we deal with drugs. Shiong believes that the idea of taking three to five years to develop a drug for a single anatomy is “completely flawed.” He says we now need to develop 20-30 drugs a year based on the person’s or cancer’s molecular signature. The browser will be available internationally and Shiong tells me that the feedback from the medical community has been largely positive, particularly from the NHS in England. I ask if the browser has been received better here in the UK in comparison to the US? Shiong is reluctant to agree, adding only that the NHS has taken a “more proactive approach”. “Being a single payer system they have a greater opportunity to effect change and they are doing that right now,” Shiong says. Cancer is a huge problem in the developed world, but it’s also spreading fast in the third world. Does Shiong plan to take this technology there? “Yes, but because of its complexity it needs to be established in the developed world first. That’s why we are focusing first on the US, UK, and Canada.” Shiong then hopes to eventually target the countries in emerging economies. Shiong is making all of this sound easy, but each country has their own rules regarding privacy laws. Surely this will make rolling out the technology challenging? Shiong only answers by saying that they plan to “work directly with each country” and that the data stays within each country. How will the browser itself facilitate a cure for cancer? “It will integrate the patient at the most infinite molecular level. What’s exciting is that we will be able to follow the outcome of the patient because what’s dynamic about the cancer we believe is that the treatment itself that we give actually affects the change that is happening in the cancer cell,” Shiong tells me. “So we need to be anticipatory of the change that is going to happen and the consequence of our own treatment which is a whole new concept,” Shiong says. "Then I think through the world of immune-oncology you will be able to get what I call sustained long-term remission and that will lead you onto the path of the cure. It’s a tool to be able to follow the patient throughout the course of the life of the cancer." Do you have plans to roll out any more products in the near future?